If we could stop emissions tomorrow we would still have 20 to 30 years of warming ahead of us because of inertia of the system. 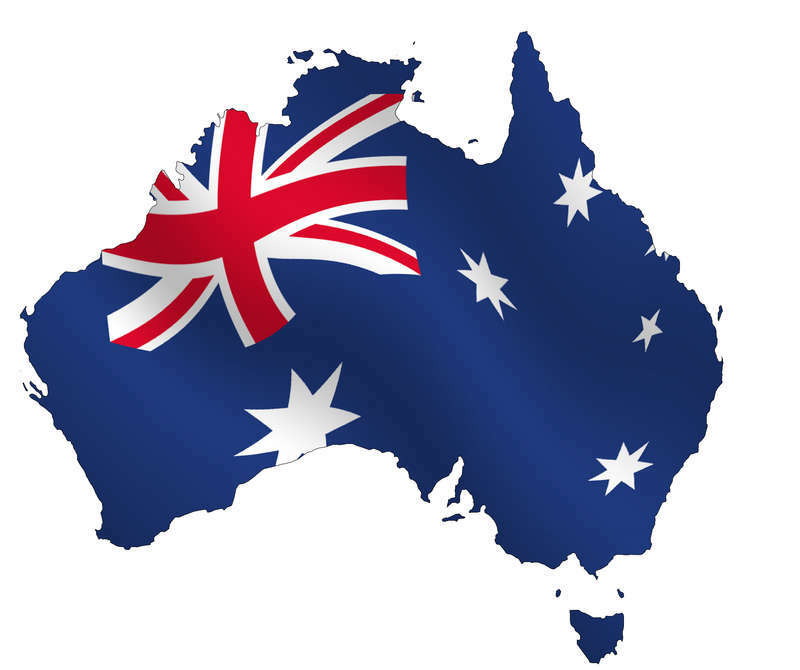 The Conservative Leadership Foundation [Australia] has launched a campaign to recognise and celebrate “Human Achievement Hour”. During Human Achievement Hour, people around the world will be recognising the incredible accomplishments of the human race. Originally conceived by the Competitive Enterprise Institute in 2009, Human Achievement Hour coincides with the earth hour campaign but salutes those who keep the lights on and produce the energy that makes human achievement possible. Millions of people around the world will be showing their support for human achievement by simply going about their daily lives. While earth hour activists will be left in the dark, Human Achievement Hour participants will be going to the cinema, enjoying a hot meal, driving their car or watching television. Professor Garnaut seems completely sold on the idea that only scientists directly within the global-warming research community can give authoritative advice on climate change. He believes that true science can be found only in the peer-reviewed literature. He accepts the modern attitude within the research establishment that it is entirely reasonable to publicly denigrate climate sceptics. 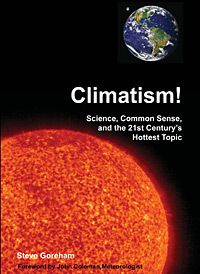 He is particularly enamoured of the idea that climate scientists should spend much of their time selling the message of climatic doom so as to counter the distorted truths peddled by the sceptics and amateurs of the web. All of these beliefs sound sensible when said quickly enough. Virtually all of them are nonsense when viewed in the broad context of general scientific reputation in the modern world. More to the point, they are patently self-serving. In many ways the situation is reminiscent of religion in the Middle Ages. The priests of that time were actively against translation of the scriptures from Latin into the local languages – this on the basis, so they said, that it would be highly dangerous to allow non-trained people to have direct access to the word of God because the chances were high that they would get it wrong. And the priests of the time were not exactly backward in imposing their peculiarly nasty forms of denigration on those who thought otherwise. Despite the strength of their position (there was no internet at the time!) they ultimately lost both the battle and much of their public support. The problem with climate science is that, as with any religion, there are diametrically opposed beliefs, each of which has its followers, and each of which vociferously claims to represent the truth. Research is moving away from active questioning of the science toward manipulation of public opinion. Playing the game of politics is much more fun than continuing with what is turning out to be fairly mundane research. Running ever-bigger computer models of an inherently uncertain climate system is not as intellectually rewarding as it was. 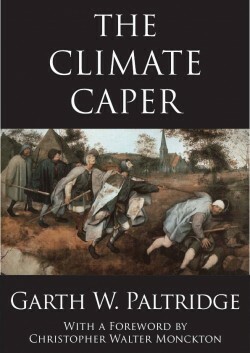 Garth W. Paltridge is the author of The Climate Caper published by Connor Court. WASHINGTON (AFP) – The number of Americans who are worried about global warming has fallen to nearly the historic low reached in 1998, a poll released Monday showed. Climate change now causes…… you guessed it………..earthquakes! Just hours after the horrific earthquake and tsunami devastated coastal areas of Japan, global warming alarmists like the BBC are already injecting climate change propaganda into their coverage of the story, hastily exploiting the tragedy as a vehicle through which to push their increasingly desperate and discredited enviro-fascist agenda. Helmut Schmidt, the respected former Chancellor of Germany, has told an audience at the Max-Plank-Gesellschaft that a full inquiry needs to be held into the credibility of advice on global warming that stems from the UN’s Intergovernmental Panel on Climate Change. 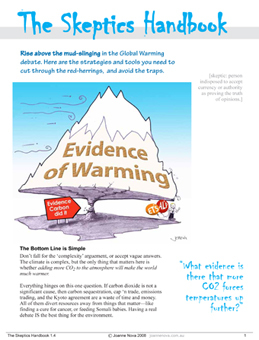 Set up in 1988 in order to deliver policy advice to governments regarding global warming, ever since 2005 the IPCC has been become mired in controversy over the integrity and accuracy of its procedures. 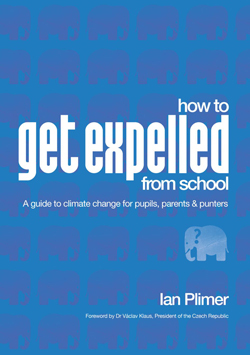 Most recently, in early 2010, a number of scandals erupted over the selective use of published literature by the IPCC, and also its practice of relying upon documents from environmental lobby groups rather than refereed scientific papers.